Date & Time Details: Arrive Friday June 7 by 5pm (dinner is at 6:30) Depart Sunday around 4pm. Tara is a Buddhist female deity of compassion who helps practitioners overcome their fears and anxieties. 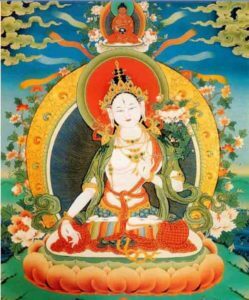 Although she arises in many colours, her most popular energies manifest as peaceful White Tara, who brings healing, long life and tranquillity; and the dynamic Green Tara, who overcomes obstacles, grants wishes and saves beings in situations of adversity. 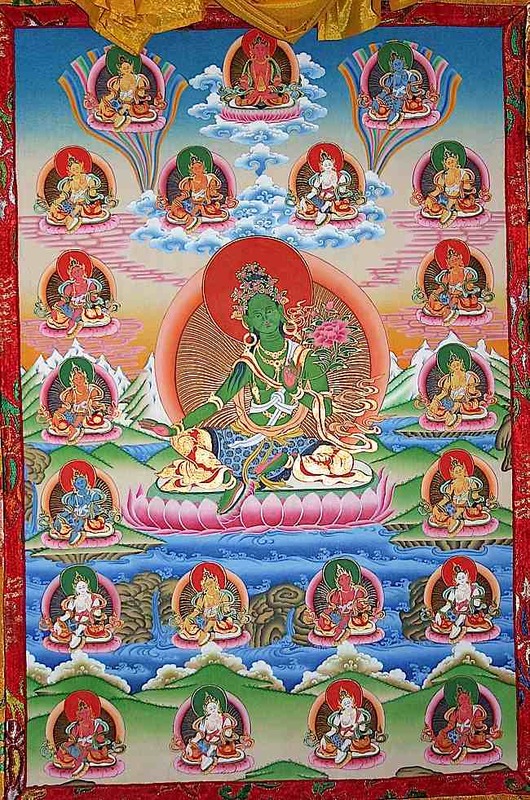 The practice of Tara is for all of us — whatever stage of life. We will explore various ways of meditating with Tara — including song and dance — in order to go beyond the many faces of fear that confront us in daily life. Kristine McCutcheon will be leading the practice. She is a householder yogi in the tradition of Shambhala living in Cape Breton — between the mountain and ocean. She has received the blessing permission from Khenpo Tsultrim Gyamtso to pass on the practice. There will be periods of sitting and short discussions and periods of movement and contemplation and singing. The program will be quite fluid with much variation. We will talk about how we understand and recognize our fears and how we work with them in daily life. We will be using two different practices. One that is a classical White Tara sadhana in english by Mipham Rinpoche, and the other which is song and dance as taught by Khenpo Tsultrim Gyatso Rinpoche. Anyone can attend. Feel free to bring a friend. Anyone who is seeking to go beyond personal fears and anxiety. Especially welcome are those with beginners mind who are open to exploring meditation in motion. Wear comfortable clothes and, if you have one, bring a flowy scarf. Bring your text if you have one. Otherwise, there will be a small charge to purchase a copy of the text. A teaching gift is a traditional offering one makes when receiving permission to receive a practice, which consists of a reading of the practice text (lung) by an authorized practitioner. Kristine McCutcheon is a householder yogi in the tradition of Shambhala. 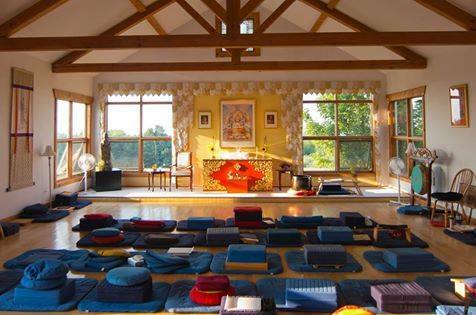 She completed a three-year retreat in 2002 at Sopa Choling under the guidance of the Ven. Thrangu Rinpoche and Ani Pema Chodron. 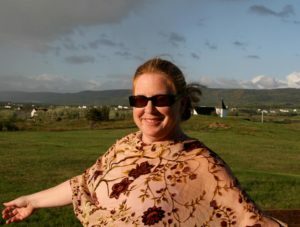 Kristine lives with her husband in Cape Breton between the mountain and ocean.